•SVC are use for regulating transmission voltage and for improving power quality of industrial load. •SVC is made from one or more banks of switched or fixed capacitor or reactor and thyristor controlled valve. •SVC is a automatic impedance matching device. •SVC is connected in parallel with transmission line. •SVC is installed at the line ends or at the midpoint transmission system. •SVC have no rotating part except internal switchgear. •SVC is similar to asynchronous condenser but with no rotating parts. 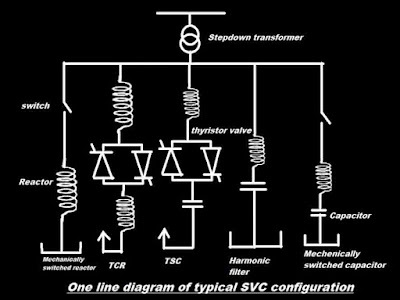 •The susceptance of SVC is controlled by thyristor valve. •SVC is use to bring the power factor closer to unity. •SVC gives instantaneous response to changes in the system. 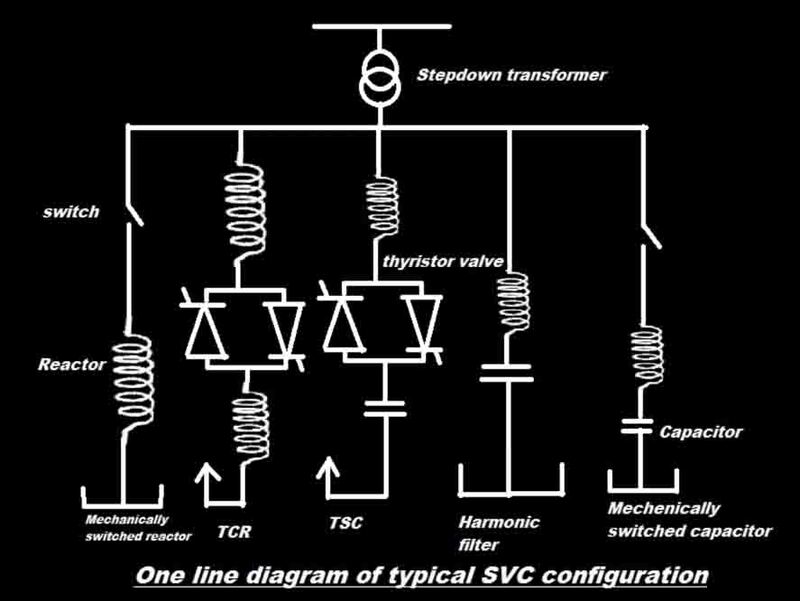 •Static VAR Compensator is more reliable than dynamic compensation scheme like synchronous condenser. Difference between STATCOM and SVC?